The 24th annual Willowdale Steeplechase is Sunday, races, tailgating competition and, of course, those hats. The Brandywine Valley is horse country and the 2016 equestrian season is already underway. The 24th Annual Willowdale Steeplechase (Steeplechase grounds, routes 82 and 926, Unionville, 610-444-1582, http://willowdalesteeplechase.org) will be held on May 15 from 10 a.m.-6 p.m. The “Tailgate Competition” and the “Antique and Unique Car Display” are both slated to run all day. The initial competition will be the “Jack Russell Races” at 11a.m. 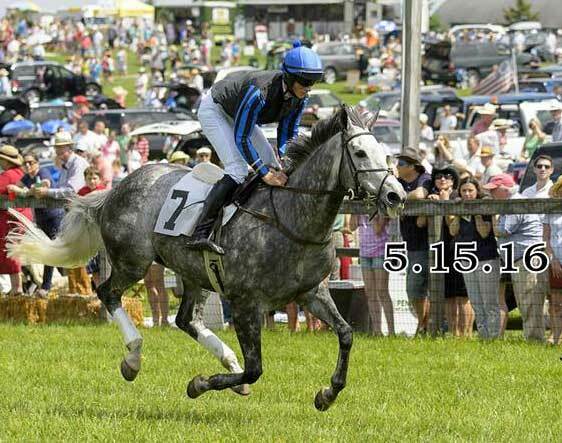 followed by the “Small Pony Race” at 12:15 p.m. and the “Large Pony Race” at 12:30 p.m. The first of seven steeplechase races will begin at 1:30 p.m. and the racing is scheduled to end between 4:30 and 5 p.m. Gates will close at 6 p.m. The Willowdale Steeplechase is a first-class steeplechase course that features an uphill approach to the fences. This encourages less speed and more jumping and, as a result, causes less wear and tear on the horses. 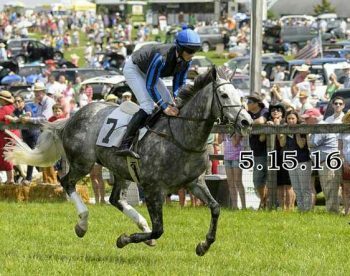 This year’s Willowdale Steeplechase has several beneficiaries — Quest Therapeutic Riding Services, Inc., The Stroud Water Research Center and The University of Pennsylvania School of Veterinary Medicine at New Bolton Center. Tickets are $30 in advance and $35 at the gate. Chesmont Astronomical Society will host a “Star Party” at Marsh Creek State Park, Saturday. On May 14, the Chesmont Astronomical Society will host a “Star Party” at Marsh Creek State Park (Park Road, Eagle, 610-469-8646, http://www.chesmontastro.org). The public is welcome and the event, which offers activities for the entire family, is free. Participants will meet in the park’s lower parking lot and the party will get underway at noon. This star party is accompanied by a solar observing event at noon. 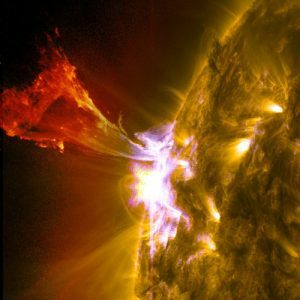 Visitors are invited to come see the sun through specialized telescopes in a way they may never have experienced. There will also be parties at the same site on June 11, August 13, and October 8. The Marsh Creek parties are held near the first lunar quarter and focus on observing the moon, the planets and bright deep sky objects. The Chesmont Astronomical Society will also have similar “Star Party” events at French Creek State Park in Elverson on May 28, July 23, and September 24. Marsh Creek Star Parties end at 11 p.m. while French Creek Star Parties end after midnight. The 73rd annual Phoenixville Dogwood festival kicks off Monday. 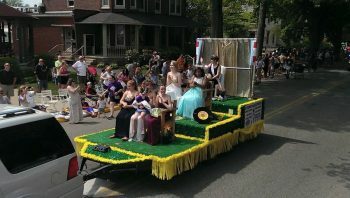 Phoenixville’s annual Dogwood Festival began gets underway on May 16 and will run through May 21. The 73rd annual staging of the springtime fair will take place at the historic Reeves Park Bandshell (Main Street between third and Fourth avenues, Phoenixville, 484-928-0052, www.phoenixvillejaycees.org) with live entertainment each night. On May 16 and 18, there will be performances by Gene Galligan & Friends. Dog Bite Money will perform on May 16 followed by the Hytha Family Band on May 17, the Audubon Symphony Orchestra on May 18, and Kendall Phillips and Ray Owens Music on May 19. Flower Power Band will be the headline act on May 20. On May 21, live entertainment will be provided by John Valerio, Dave Sullivan and Rougarou. The main day for activities at the free festival will be May 21 with a parade and other festivities running from noon-3 p.m. and live entertainment starting at 4 p.m. The parade, which is one of the festival’s showcase events, is slated to get underway at 11 a.m. 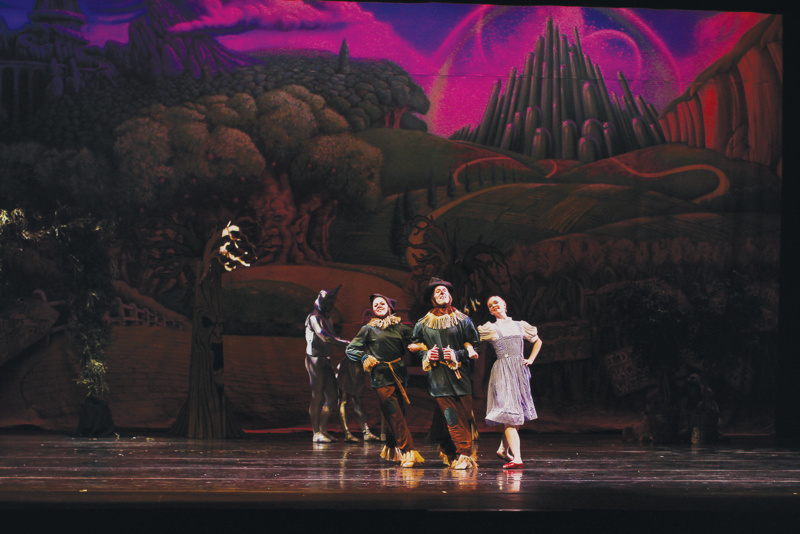 The Brandywine Ballet brings The Wizard of Oz to West Chester University this weekend. From May 13-15, the Brandywine Ballet will bring its annual spring performance to West Chester University’ Emilie K. Asplundh Concert Hall (South High Street, West Chester, 610-696-2711, www.brandywineballet.org). This weekend, the Brandywine Ballet is proud to present a reprise of “The Wonderful Wizard of Oz,” which premiered in 2011. Resident Choreographer, Nancy Page, brought the story to life with her imaginative choreography. Using a blend of Brandywine Ballet Company professionals and young dancers, Page sends the audience on a magical journey with Dorothy and her fellow travelers. “The Wonderful Wizard of Oz” is a tale of the enduring powers of friendship, self-confidence and love. There are three levels of ticket prices — “Premium” Section A, $40; “Select” Section B, $30, and “Choice” Section C, $25. The Chester County Choral Society (http://www.chestercountychoralsociety.org) will present special program titled “The Three B’s” on May 15 at Bayard Rustin High School (1100 Shiloh Road, West Chester). The concert will feature Dr. Donna Beech on piano along with members of the Newark Symphony Orchestra. Advance tickets are $18 for adults, $12 for seniors (60 and above) and $5 for students. Day of show prices are $20, $15 and $10. http://k94life.org) will present a chic canine celebration called “The Art of the Bark” at the Brandywine River Museum (Baltimore Pike, Chadds Ford, 610-388-2700, www.brandywinemuseum.org). Service dogs-in-training will greet visitors at the puppy kissing booth upon their arrival. Participants will be able to sample farm-to-table cuisine from MacGregor Mann’s catering company, Blanch and Shock, and enjoy while overlooking the beautiful Brandywine Creek. Docents will guide guests through the museum’s six galleries of distinguished 19th-century and 20th-century American art. Participants also will have the opportunity to bid on one-of-a-kind experiences and sensational silent auction items. Most importantly, guests can meet Canine Partners for Life recipients and discover how service dogs change lives. 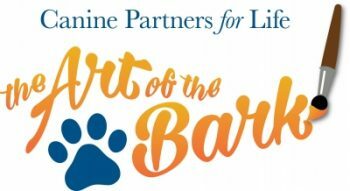 The annual event is held to raise funds for CPL’s mission to raise and train service dogs for individuals with disabilities. The Wilmington Grand Prix is now one of the top cycling events in the country. In a relatively short time span, the Wilmington Grand Prix (various locations around downtown Wilmington, 302- 655-6483, http://wilmgrandprix.com) has grown from a regional bicycle race to one of the premier cycling events in the country. The Men’s and Women’s Professional Criterium Races will be official stop on USA Cycling’s National Criterium Calendar. The action starts May 13 with the Monkey Hill Time Trial, a 3.2-mile race against the clock through Wilmington’s Brandywine Park. On May 14, there will be a series of races beginning at 9 a.m. and culminating with the Women’s Pro and Men’s Pro races in the afternoon. The racing on Saturday will be held in downtown Wilmington on a figure-eight criterium over a one-mile course. The start line and finish line, which are the same, are located in front of the Grand Opera House in the 800 block of Market Street. 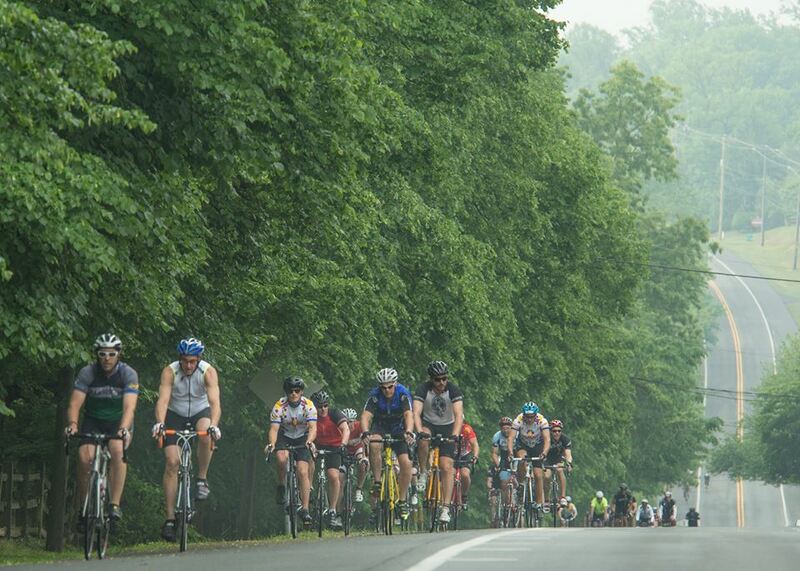 On May 15, it will be time for the Sixth Annual Governor’s Ride and the Fifth Annual Delaware Gran Fondo. 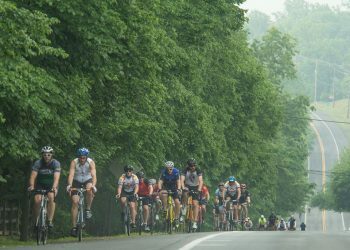 Last year’s Gran Fondo attracted cyclists from 20 states, including Maine, Florida and Colorado, by offering them a scenic tour through the Brandywine Valley. The Wilmington Grand Prix’s Street Festival will take place on May 14 beginning with parade that starts at noon. The Street Festival features a Family Fun Zone, a Bike Expo, a “Rock Wall,” sidewalk sales, a VIP Hospitality Tent, a Moon Bounce, and an array of family games and activities. Herr’s is hosting its 17th annual Cruise Night, May 19. A different breed of automobile will be featured on May 19 during “Cruise Night” at Herr’s Snack Foods, (20 Herr Drive, Routes 272 and 1, Nottingham, 610-932-9330, www.herrs.com). This year, Herr’s Snack Foods is hosting its 17th Annual Cruise Night. Visitors to the event will find that “cruising” is welcomed rather than frowned upon in so many of the area’s municipalities. The popular annual event, which features free admission and free parking, will get underway at 5 p.m. and continue until dusk. Linvilla Orchards & the Historical Car Club of Pennsylvania will present an outstanding display of spectacularly restored cars this weekend at their annual Antique Car Show & Flea Market at Linvilla Orchards (137 W. Knowlton Road, Media, 610- 876-7116, www.linvilla.com). On May 15, the orchard/market/tourist attraction in Media will host the interesting annual springtime event from 9 a.m.-4 p.m. The free show, which grows in popularity every year, will be held rain or shine. Linvilla Orchards has partnered with The Historical Car Club of Pennsylvania (HCCP) for over three decades to present their annual Spring Meet. More than 250 spectacularly restored and maintained antique, classic, and muscle cars will take over one of Linvilla’s big fields. Visitors to Linvilla Orchards’ car show will be able to get an up-close and personal look at a large selection of antique vehicles — all of which have been maintained in pristine form. There will be cars dating from as far back as the early 1900s. The wide representation of vintage vehicles will include cars all the way up until the 1970s. Previous highlights have included a 1913 Ford Model T, a 1938 Ford Woody Wagon, a 1958 Chevy Impala and a 1962 Chevy Corvette. Awards will be presented for the best-maintained cars in a variety of classes, such as Best Brass and best restored pre-1918 cars. As an added attraction, there will be hayrides around the orchard’s grounds and train rides on Linvilla Orchards Playland Express. Other kid-oriented attractions include a playground, a barnyard and face-painting. The 20th Annual Ambler Auto Show (Butler Avenue, Ambler) will be held May 14 from 3-8 p.m. in the center of Ambler. Billed as “The Best Little Car Show Around,” promoters claim that the 20th anniversary show will be the best yet. Butler Avenue will close for the event from Lindenwold Avenue to Main Street so that more than 200 classic cars and their owners can compete for a litany of prizes. 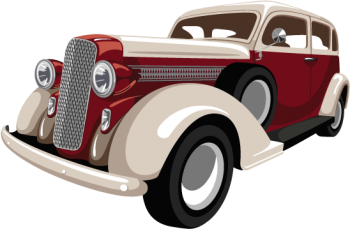 The Ambler Auto Show is designed to be a fun, low-pressure event for auto and truck enthusiasts. Held each year at the beginning of the regional auto show season, Ambler gives the exhibitor a great opportunity to “tune-up” for upcoming shows. Vehicles are positioned along Butler Avenue covering the major shopping area of Ambler. Visitors to the show have the opportunity to stop and chat with owners to learn more about each vehicle. Vehicles compete for awards in three categories — The Top 50, Major Sponsor Trophy and the Al Whitcomb Best-in-Show Award. Additionally, all entrants receive a commemorative dash plaque marking their participation in the show. Visitors can stroll throughout the day along Butler Avenue, go to the restaurants and shops or grab a bite from one of the local food trucks which will be parked along Ridge Avenue for this special celebration. Rain date is May 15 from 3-8 p.m.
Everybody is familiar with sports cards such as baseball cards and football cards. However, there are actually many more non-sports sets issued each year. Not surprisingly, non-sports cards have attracted a large number of collectors around the world. Two times a year, collectors and dealers from all around North America come together in the Delaware Valley for a very special event — the Philly Non-Sports Card Show. Now in its 33rd year, the show is the oldest show of its kind in the country. This weekend’s event, which will be held May 14 and 15 at the Merchants Square Mall (1901 South 12th Street, Allentown, 717-238-1936, http://phillynon-sportscardshow.com). At this weekend’s 64th Philly Non-Sports Card Show, many of the hobby’s top manufacturers will have exhibit booths at the show and will be distributing free promo cards. There will be a huge array of non-sport cards, sets, singles, wrappers, chase cards, promos, and related memorabilia. Whether you’re looking for brand new items such as “Decision 2016,” which looks at all the politicians involved in this year’s Presidential election, or the latest “Garbage Pail Kids” issue or vintage items such as Davy Crockett or Mars Attack, you’ll be able to find them at this weekend’s huge show. There will be a number of special autograph guests including highly-respected card artists including Danielle Ellison, Samantha Johnson, Sean Pence, Rhiannon Owens, Elaine Perna and Tony Perna. Show hours are 10 a.m.-5 p.m. on May 14 and 10 a.m.-3 p.m. on May 15. Tickets are $8 daily or $14 for a two-day pass. On May 15, the Bethel Township Preservation Society (610-459-4183, http://betheltownshippreservationsociety.com) will present its “10th Annual Log House Tour” at a restored historic log house that is located at 1645 Bethel Road in Garnet Valley. The event, which is free and open to the public, will feature colonial demonstrations — quilt making, weaving and spinning, butter making, and basket making. There will be crafts and a children’s colonial toy display as well as “punched tin” and “bird walk” activities for kids. The house was built in the late 1600s in the William Penn style that was the prototype for the row houses in Philadelphia. The log house was continuously occupied until the early 1940s and remained in the “abandoned” category for quite awhile. A few years ago, the structure was dismantled log by log and moved to its current home on Bethel Road. The Pennsylvania Guild of Craftsmen offers a number of craft fairs throughout the state each year. One of the most popular fairs is scheduled for this weekend. Now through May 15, the Guild will present the Fine Craft Fair (Rittenhouse Square, Philadelphia, 717-431-8706, www.pacrafts.org). Love On the Streets 2016 presented by Wahoo’s (Paine’s Park (North 24th Street and Martin Luther King Drive, Philadelphia, https://www.facebook.com/events/1570532649936369) returns for its second year on May 14. The free day-long celebration of skateboarding, music, art, and street culture brings new additions to last year’s widely successful event. The second annual staging of the event features a skate competition, where regional skateboarders compete for $2,000 in cash prizes. The Mad Dragon Stage will feature a full day of live music with Lithuania, Steady Hands, JANK, The Obsessives, Mumblr, Vicky Speedboat, Endless Taile, Plainview, and RFA. Electric Factory resident visual artist, Getup, and renowned street artist, Distoart, will create live art. The flea market makes its return with local businesses and has expanded its selection of high quality food trucks. This year, patrons can also enjoy a cold brew inside the beer garden while taking in the atmosphere. 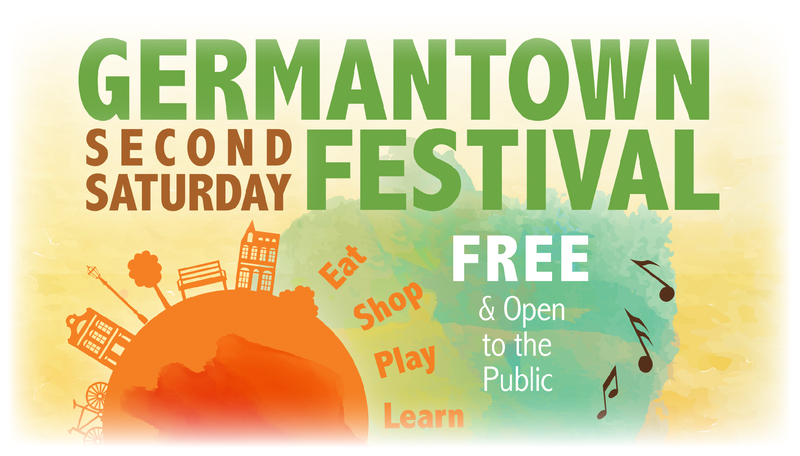 Historic Germantown and Germantown United CDC is kicking off the 2016 Second Saturday series, when all 16 Historic Germantown sites are open monthly (May thru October). 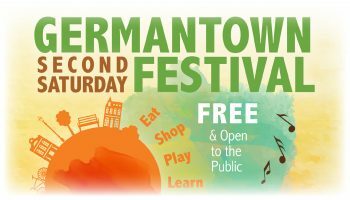 The event highlights the many thriving cultural, civic and business activities that make Germantown an exciting place to visit. Special attractions at Saturday’s event will be a special dance performance by BalletX, Philadelphia’s premier contemporary ballet; live music; an arts and crafts marketplace; historic re-enactors, family-friendly programs and free bus tours to Historic Germantown sites. The Chestnut Hill Home and Garden Festival (http://chestnuthillpa.com/events/home-garden-festival-2) was originally scheduled for the first Sunday in May but Mother Nature had other plans for the outdoor festival — a wipe-out because of foul weather. After being postponed because of rain earlier this month, Chestnut Hill will host the 20th anniversary of the Chestnut Hill Home and Garden Festival on May 15 from 11 a.m.-6 p.m. The festival turns Germantown Avenue from Rex to Willow Grove Avenues in Chestnut Hill into an outdoor garden marketplace. The free event draws nearly 30,000 attendees and more than 150 home and garden vendors, artists and craftsmen displaying their wares. The list of kids’ attraction includes amusement rides, face painting, a photo booth, basketball clinic, arts and craft activities, music, a petting zoo and a free train ride. Live music will be performed by the City Rhythm Orchestra, The Classic Rockers, The Dukes of Destiny, and Midnight Shift. The Bucks County Wine Trail hosts several seasonal events each year — including a pair of “Spring Winery Tours.” The Fifth Annual Spring Winery Tour is scheduled for May 15 and 22. The two-part self-guided tour will highlight nine unique family-owned wineries along the Bucks County Wine Trail. The Southern Tour will be held from noon to 5 p.m. on May 15. Cost is $35. The Northern Tour will be held from noon to 5 p.m. on May 22. Cost is $30. Tickets for both tours cost $50. Tickets are available at any of the wineries. Quantities are limited. The South Tour on May 22 will visit Buckingham Valley Vineyards (1521 Durham Road, Buckingham, 215-794-7188, www.pawine.com), Crossing Vineyards & Winery (1853 Wrightstown Road, Washington Crossing, 215-493-6500, www.crossingvineyards.com), Rose Bank Winery (258 Durham Road, Newtown, 215-860-5899, www.rosebankwinery.com), Rushland Ridge Vineyards (2665 Rushland Road, Rushland, 215-598-0251, www.rushlandridge.com) and Wycombe Vineyards (1391 Forest Grove Road, Furlong, 215-598-9463, www.wycombevineyards.com). 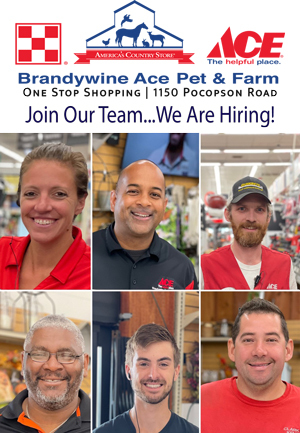 The North Tour will include New Hope Winery (123 Route 202, New Hope, 215- 794-2331, www.newhopewinery.com), Peace Valley Winery (300 Old Limekiln Road, Chalfont, 215-249-9058, www.peacevalleywinery.com), Sand Castle Winery (755 River Road, Erwinna, 800-722-9463, www.sandcastlewinery.com) and Unami Ridge Winery (2144 Kumry Road, Quakertown, 215- 804-5445, www.unamiridge.com). For years, the Strasburg Railroad (Route 741 East, Strasburg, 717- 687-7522, http://www.strasburgrailroad.com) has been taking visitors on rides back through time — visits to an era when rail travel was appreciated and steam-powered locomotives provided the power to take the trains from one location to another. On May 14, visitors to the excursion rail line in Lancaster County will be able to take a ride back in time with an added attraction — an opportunity to watch a game of vintage baseball. The special steam-powered trains will depart hourly from the East Strasburg station and travel through scenic Pennsylvania Dutch country to Paradise. On the return trip, there will be an exclusive stop at Verdant View Farm. Passengers may disembark at Verdant View Farm and walk across the farmland to watch a vintage base ball tournament featuring three teams — Mohican Base Ball Club of Kennett Square, Keystone Base Ball Club of Harrisburg and Rising Sun Base Ball Club. Access to Vintage Base Ball Day games is exclusively by train and does require a walk across farmed ground, similar to what fans of the game would have experienced over a century ago. For the convenience of attendees, restroom facilities and food vendors will be on-site. Limited bench seating will be available for the afternoon. Guests are invited to bring blankets and compact lawn chairs. Small coolers or picnic baskets are also permitted. The games will be played rain or shine. The tournament begins at noon with games running throughout the afternoon. To catch the first pitch, ride the 11 a.m. train to Verdant View Field. Trains operate throughout the afternoon so you can return to the Strasburg station at your leisure. Coach ticket prices are $15 for adults (12 and over) and $9 for children (ages 2-11). Tickets for the “Open Air” cars are $17 and $11. One of the more interesting traditional springtime events in Pennsylvania Dutch country is the Rough and Tumble Engineers Historical Association’s annual “Spring Stream Up” (Rough and Tumble, 4977 Lincoln Highway East, Kinzers, 717-442-4249, www.roughandtumble.org). “Spring Steam-Up” is scheduled for May 13 and 14 from 7 a.m.-5 p.m. each day. One of the highlights will be sessions of “Plowing with Steam and Gas Tractors.” This activity will be held only if weather is favorable to plow. “Tractor Games” are scheduled for Friday at 4 p.m. A “Parade of Power” will be presented on Saturday at 10:30 a.m. followed by a “Garden Tractor Pull” immediately after the parade. A “Children’s Pedal Tractor Pull (35 lb – 80 lb)” will be held on Saturday at 1 p.m.